Campfires, s’mores, color war, celebrating Shabbat with friends, and havdalah by the lake are probably just a few of the memories you might have–or want your kids to make—at Jewish summer camp. But how do you pick the right one? Co-ed or single gender? Day camp or sleepaway? Traditional camp experience or specialty camp?? 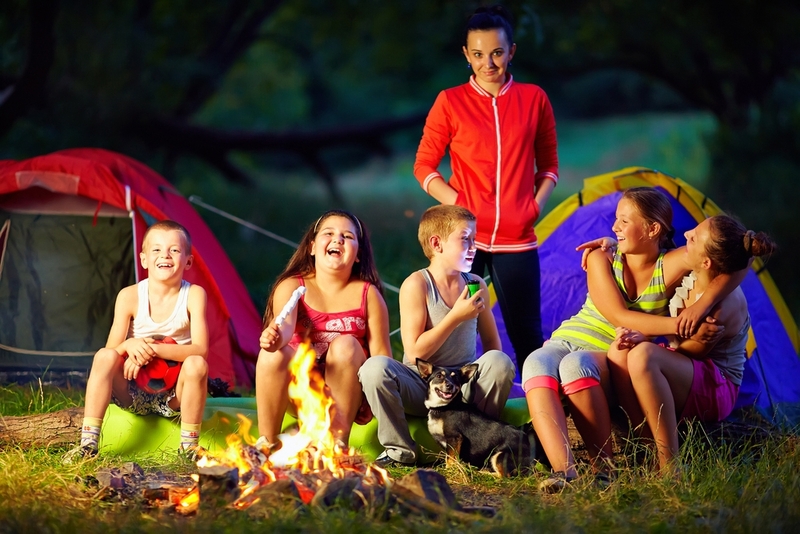 We’ve rounded up a list of Jewish day and overnight camps serving families in the Detroit metropolitan area to help get you started on your search. Description:We offer an 8-week camp, but do not require families to sign up for a particular length of time. We are also very flexible regarding days of the week and provide early drop-off and an extended day. We offer hot lunch three times a week and have new entertainers and new themes-of-the-week each summer. Description: At Camp Gan Israel children have the opportunity to experience the beauty and excitement of Judaism in a joyful and non-judgmental environment. They get to understand Jewish life and traditions through the living example set by the counselors and staff. Our commitment to small staff/camper ratio in addition to small group size helps us provide exceptional supervision and care. The camp program is designed with special themed activities to enhance the Jewish experience. Whether they are learning about a Jewish holiday, charity or friendship, campers are being taught Jewish values through fun, hands-on activities. Camp Gan Israel is the place for every Jewish child—our campers come from a variety of Jewish denominations and range from observant to unaffiliated but all hold in common our rich Jewish heritage and love for Israel. Description: Camp Teva is part of the preschool at Temple Shir Shalom. Our camp features lots of outdoor play, sports, arts, and gardening activities. Kids arrive every day excited to play. What they don’t realize is how much they are learning at the same time! Description: Our camp is housed in our newly renovated building with beautiful outdoor areas, playgrounds, and a greenhouse. Activities include art, water play, nature walks, cooking, sports, science, and more. Description: Offering traditional camp and specialty programs (sports, arts, nature, travel), as well as programs for children with special needs. Free chaperoned transportation to and from most areas in Metro Detroit. Licensed by the State of Michigan and accredited by the American Camping Association. Description: At Habonim Dror Camp Tavor, campers experience a one-of-a-kind Jewish community. Camp Tavor programming allows campers to build strong relationships while learning about leadership, social justice, and stewarding the environment. Description: Tamarack Camps is more than a camp—we are your home and your community. Through a wide-range of special overnight programs, including Camp Maas, Teen Travel Trips, Outpost Camps, and Family Camps, we offer enriching and life changing experiences. Description: At Camp George, Jewish youth from all over Canada and the United States participate in a unique camping experience that blends the best of Reform camping with the historic traditions of Ontario camping. Within this community, participants forge life-long friendships and experience a truly transformative Jewish experience. Camp George offers campers, opportunities to learn new skills, meet new friends, and develop their own Jewish identity. Camp offers a wide array of activities which focus on recreation, fun, cooperation and skill building. Our creative arts program, magnificent waterfront, state of the art Ropes Challenge Course, and various athletic facilities serve as backdrops for teaching, creating, growing and exploring – allowing us to meet the needs of every camper. Currently, there are 18 URJ camps throughout North America that serve more than 8000 campers each summer. Description: URJ Goldman Union Camp is a vibrant Reform Jewish community drawing children from Midwestern America. We build our program to instill values of community, confidence, and compassion. We strive to balance our activities-based programs with Jewish cultural experiences along with all of the traditional summer camp experiences. We integrate Jewish culture and value into our program through informal discussions, creative prayer, Shabbat celebrations, Israeli culture, and interaction with rabbis, cantors, and educators from around our region. GUCI intentionally focuses on building a strong, inclusive, and welcoming community. We encourage campers to engage in activities they know they like and also put them in the position to take on new challenges and learn new skills. Description: URJ Olin-Sang-Ruby Union Institute, the Reform movement’s camp in Wisconsin, offers a unique environment for campers in grades 2-12. We combine creative and innovative Jewish experiences with all the fun of summer camp—swimming, sports, drama, dance, archery, boating, horseback riding, visual arts, campfires, photography, waterskiing, high and low ropes, biking, camping trips, caring counselors, and, most importantly, lifelong friendships. Description: Camp Ramah in Canada empowers young people to become more independent, gain an appreciation of nature and the great outdoors, and to develop important individual and team skills. Located in the beautiful Muskoka region of Southern Ontario, we feature outstanding programs on the waterfront, in sports and outdoor adventure, and in the arts – all within the context of a vibrant, fun, and caring Jewish community. We offer a number of different sessions. However long a child spends with us each summer, it never seems to be long enough, as 90% of our campers return to Ramah summer after summer. And while a session at Camp Ramah in Canada inevitably comes to an end, the friendships, values, and the feeling of community endure long after the summer months. First time Detroit campers receive up to 50% off tuition. Description: Since 1969, Camp Young Judaea Midwest has served Jewish youth from the Midwest and all over the United States. Our beautiful 80 acre lakefront facility in central Wisconsin provides the opportunity to explore, take on new challenges, and make friendships that last a lifetime. CYJ Midwest offers an extensive program in sports, arts, outdoor adventure, and more. Camp Young Judaea Midwest is affiliated with Young Judaea, an independent Jewish and Zionist youth movement. We focus on developing Jewish identity and connection to Israel and engage Jewish children across a wide spectrum of geographic, socioeconomic, and denominational backgrounds. Please note, this article was compiled with the most current information available. If you are a Jewish camp that serves families in the metro Detroit area and would like to update or add your information, please contract detroit@kveller.com.